On Friday, a year and a half after AirPower was first announced in September of 2017 in conjunction with the rollout of iPhone X and iPhone 8, and after months of speculation about its absence at the most recent Apple hardware events, Apple's senior vice president of hardware engineering, Dan Riccio, confirmed that the company would cancel the product. In an e-mail letter sent to technology website TechCrunch, he wrote that AirPower would "not achieve our high standards." To recap, AirPower was the extremely ambitious high-speed wireless charging pad that was intended to juice up an iPhone, AirPods and Apple Watch simultaneously using Apple's own implementation of the Qi wireless charging standard. Unlike other charging pads on the market designed to handle multiple products at once, the AirPower distinguished itself by having the capability of charging the iPhone, AirPods and Apple Watch all at the same time regardless of their orientation and positioning in relation to the charging coils. This would have made it the most user-friendly and desirable wireless charger on the market -- had it actually been released. Allegedly, based on conceptual patent filings, the AirPower was able to achieve this flexible orientation wireless charging by having many 3D coils in extremely close proximity to each other -- which also required extremely complex power management in order to prevent the coils from generating excessive heat and to mitigate the generation of overlapping harmonic frequencies between the coils. As it is, Apple's own Qi implementation runs at a lower 7.5W rather than the maximum 10W and 15W of its Android competitors, reportedly because the newer generation iPhones with wireless charging capability got way too hot at those increased power levels. Ultimately, I believe Apple did the right thing. Can you imagine the potential "PowerGate" of cooked iPhones, Watches and AirPods? It's far less egg on Apple's face to cancel the product outright than to release a dangerous dud. Apple very rarely cancels products outright after announcing them. The last time it did this was in August of 1996, when it decided to cancel its Copland OS, which proved too difficult a project for the company. It eventually ended up migrating to Mac OS X, which is heavily based on NeXT's (and Steve Jobs') BSD UNIX OpenStep object-oriented graphical OS instead. The public cancellation of AirPower is a huge embarrassment for Apple. But given the company's obsession with bleeding edge engineering and its compulsion for thinner, lighter, faster, more densely packed and difficult-to-repair products, such an embarrassment was inevitable. 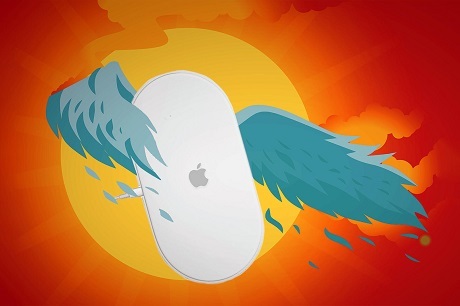 It was only a matter of time before the technologically ambitious post-Steve Jobs Apple, like Icarus, would fly too close to the sun. Indeed, Apple's obsession with sleek industrial designs that outperform rivals is what attracts many customers to the company's products in the first place. But AirPower is not Apple's only problem product: Over the last decade, we've had Antennagate, Batterygate, Flexgate, Bendgate, iPhone WiFi connectivity issues and various system stability problems over multiple generations of iOS 11 and 12. Most recently, the engineering quality of the keyboards used in the 2015 and later versions of MacBook Pro is under intense scrutiny by even the company's most loyal adherents. Many of these problem products are the result of Apple pushing the envelope to release new features, rather than concentrating on product stability. However, we have to give the company credit where credit is due. Without Apple's push towards innovation, without its capturing of the bulk of mind share in the luxury consumer electronics market, we probably would not have seen competitors such as Microsoft, Google and Samsung release equally compelling products. Without the introduction of the MacBook Air and MacBook Pro, would we have even seen Microsoft Surface come to fruition and become the most desirable touchscreen Wintel PC laptop line in the technology industry? Would we have seen Samsung and Huawei release folding phones -- with cutting-edge through-the-screen ultrasonic fingerprint readers and facial recognition -- had Apple not upped the game with iPhone X? Would we have seen Google push the capabilities of smartphone cameras and image processing in the Pixel Phone had Apple not established the gold standard in mobile device camera performance in the iPhone 5 and later models? Would we have even seen an Alexa or a Google Assistant without the introduction of Siri? It's hard to say. But all of this thinness, lightness, sleekness, and density of features comes at a price. Consumer electronics, not just Apple's own products -- have become virtually unserviceable. There are no batteries on smartphones that an end-user can swap out, there's no memory or disk storage on most new laptops currently sold that can be field replaced or upgraded.